Here are the step by steps with no step skipped on how to check your wallet balances. Firstly, Log on to the school portal. One shows details of wallet payments made so far and the total paid to date. The other shows details of expenditure on the wallet. The wallet balance is displayed boldly. That the balance on your profile will also be updated when you login next. 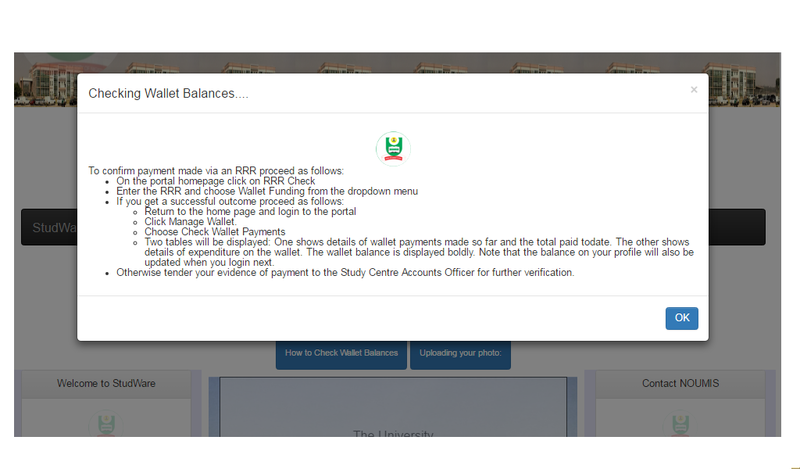 Otherwise tender your evidence of payment to the Study Centre Accounts Officer for further verification.